Perfect on every level: the young OLYMP Level Five shirt range. 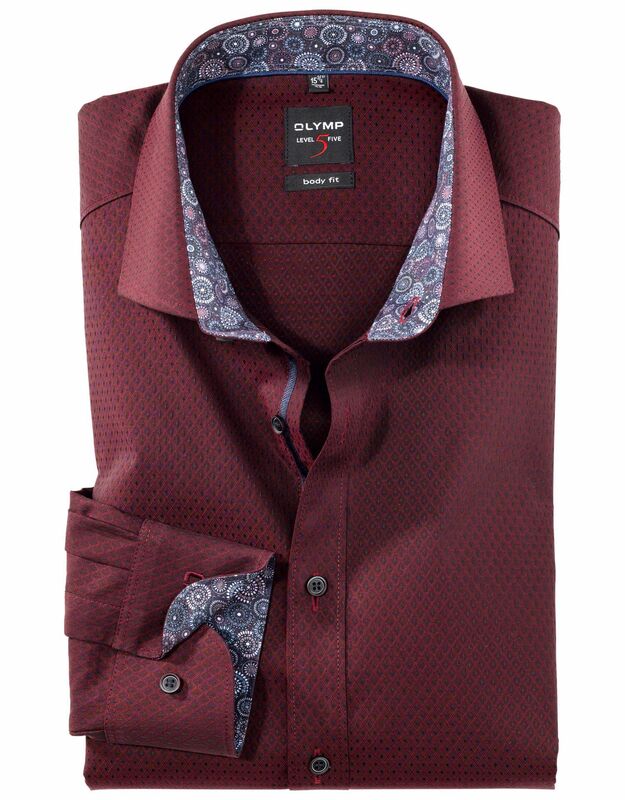 The excellent product qualities of this OLYMP Level Five shirt in chianti include a close-fitting cut with stylish finish and particularly easy ironing. The high-quality comfort stretch fabric offers unrestricted freedom of movement. Business taken to a whole new level.